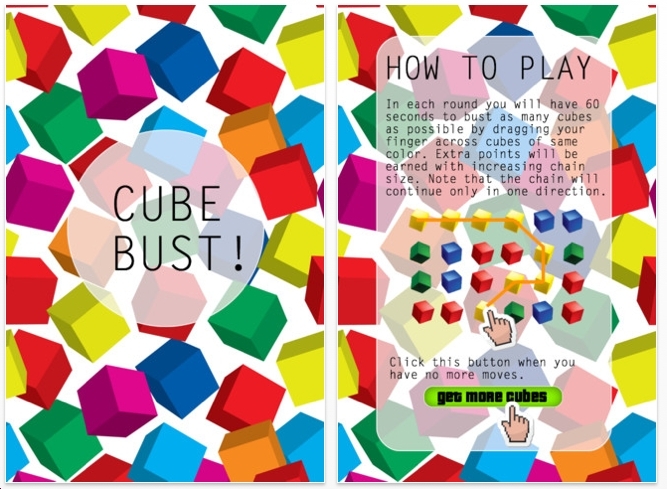 Cube Bust is a point-scoring puzzle puzzle app. 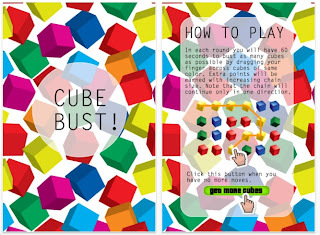 Draw zigzag lines to connect colored cubes to score points. You are given a time limit. Cube Bust was made by Yuyan Chow.